The All-Star line-up of Victoria’s Secret Angels will include returning favorites Adriana Lima, Alessandra Ambrosio, Candice Swanepoel and Taylor Hill. Can you name them all?! 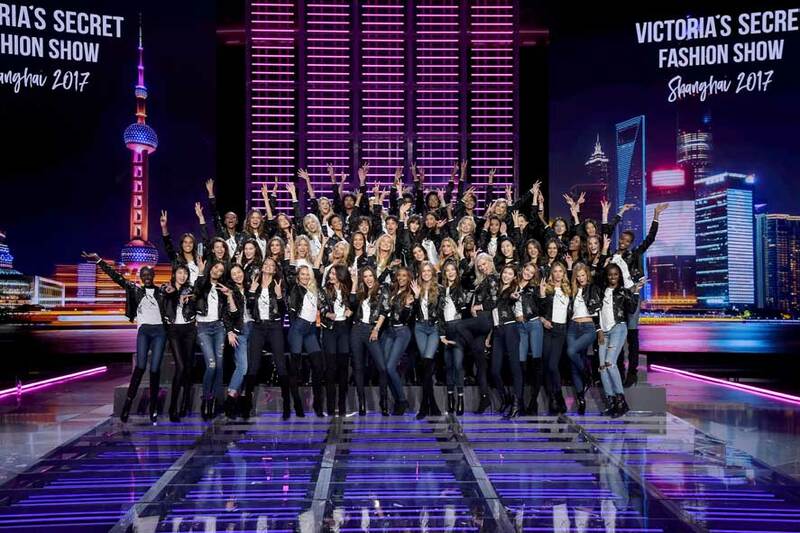 Victoria’s Secret is preparing for the biggest show of the year and all FIFTY FIVE Angels lined up in the Mercedes-Benz Arena in Shanghai, China for an epic group shot! For the first time, the Victoria’s Secret Angels will be filmed in Shanghai, China for THE VICTORIA’S SECRET FASHION SHOW to be broadcast Tuesday, Nov. 28 (10:00-11:00 PM, ET/PT) on the CBS Television Network. …Roosmarijn De Kok, Samile Bermannelli, Sanne Vloet, Sui He, Vanessa Moody, Victoria Lee, Xiao Wen, Xin Xie and FINALLY Zuri Tibby. Merging fashion, fantasy and entertainment, the lingerie runway show will include pink carpet interviews, model profiles, a behind-the-scenes look at the making of the show and musical performances from Harry Styles, Miguel, Jane Zhang and Leslie Odom Jr.
Victoria’s Secret Trivia: The world’s most celebrated and most watched fashion show will be seen in more than 190 countries. Last year’s show received 1.4 billion views and more than 150 billion media impressions worldwide.